Halo Top Creamery has only been around since 2012, but this year it became America’s best-selling ice cream brand. Halo Top appeals to customers because it’s lower in calories and sugar than other ice cream brands, higher in protein, and still delicious. It is available in grocery stores around the country, and next week the company is opening its first scoop shop. The Halo Top Scoop Shop opens Wed., November 15 on the second-level dining terrace at Westfield Topanga (6600 Topanga Canyon Blvd. in Canoga Park). On opening day they’ll be serving free ice cream from 10 a.m. to close. 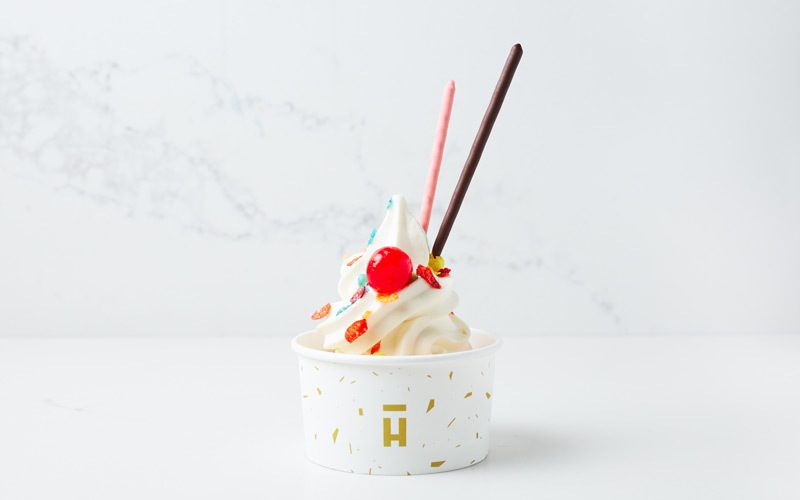 The brick-and-mortar store will sell the brand’s traditional pints along with scoops of classic Halo Top and new soft-serve flavors, including chocolate, vanilla bean, strawberry, birthday cake, and peanut butter cup. 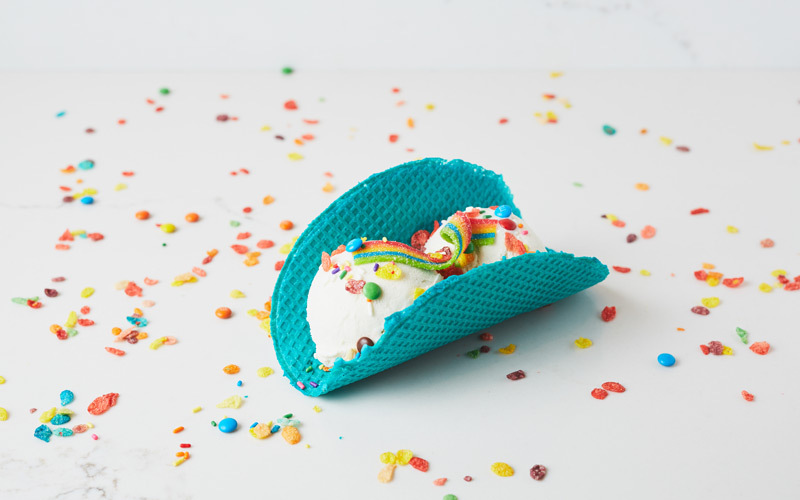 The ice cream is available in a dish, a waffle-cone taco shell, and four types of cones. They’ll also sell a selection of ice cream sandwiches. 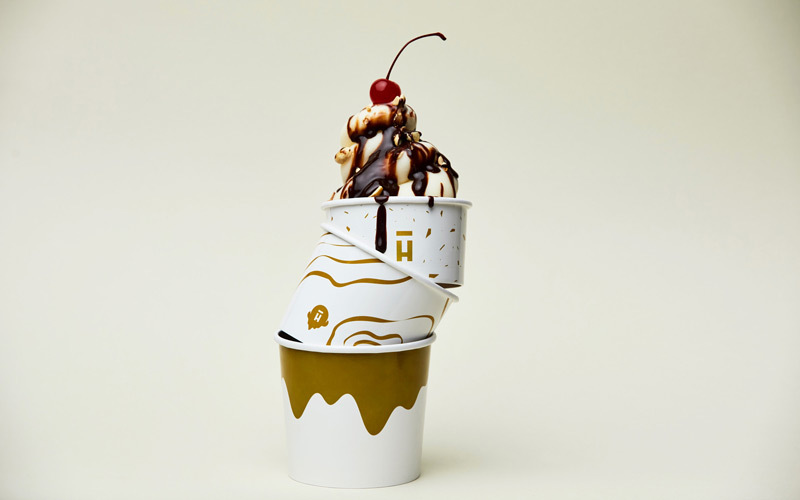 “Our goal with the Scoop Shop is to let our fans add all the toppings they could possibly want to a soft serve version of Halo Top—which is incredibly delicious and ditches the tanginess of frozen yogurt,” said Justin Woolverton, Halo Top founder and CEO. Among the topping options at the new scoop shop you’ll find fresh mango, mochi, and shredded coconut. They’re also launching an app with a loyalty program where you can earn free ice cream and other prizes. The Halo Top Scoop Shop will be open Monday to Saturday, 11 a.m.-9 p.m., and Sunday, 10 a.m.-7 p.m.